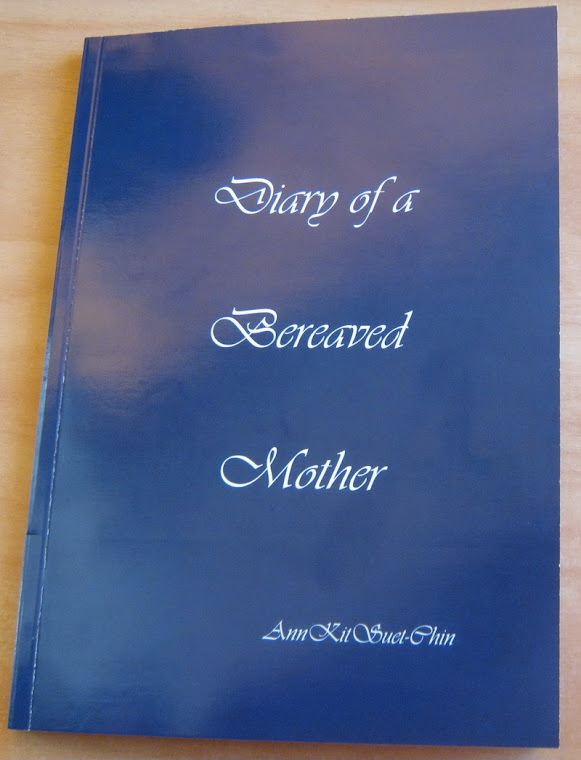 Diary of a bereaved mother, 丧儿记,: 丧失儿子的母亲的一本传记: Christmas and Andrew's puppy. 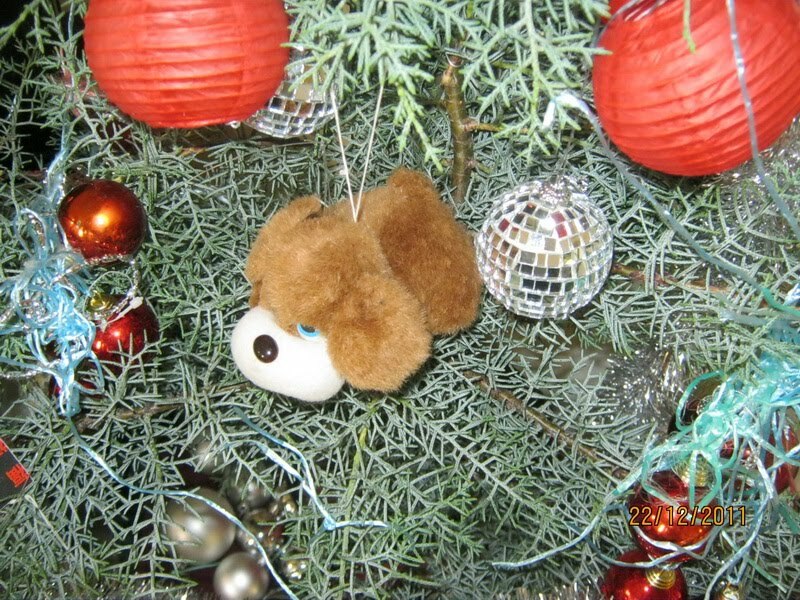 I am glad my niece Katie put up Christmas decorations to her late mum's memory. This is the second Christmas her mum Karen had gone to heaven. I don't feel like putting up the tree. Unlike the Chans, the Chins don't have the tradition of the Christmas tree. I will put the tree in my heart and putting up Andrew's puppy. I had no recollection who I went with and how I went; or if I did the things I intended to do. I did go to Newmarket and was at the Chemist shop at 277, Broadway. Suddenly, I wanted to buy things for Andrew. I had not prepared anything for him. I grabbed an armful of soft toys, and as I was about to pay for them, a torrent of tears flowed. What was I doing? Andrew couldn’t play with them? Andrew was dying. The girl at the shop saw me and asked if I was okay. She probably thought I was sick. I held the toys to my chest. My poor Andrew, Mum hasn’t given you anything. Eventually I composed myself and chose a little brown puppy with floppy ears and big brown eyes. I gave it to Andrew and put it in the bassinet. Deep in my heart, I had a sense of satisfaction. Sweet Andrew, Mum did give you something after all. When Andrew died, I gave away all of his things except one, that little brown puppy dog. I kept it with his lock of hair. Then I kept it with my Christmas decoration. Every year, when we decorated the tree, I have told the children this is Andrew’s dog. In my heart, I grieve for Andrew. This is another Christmas he won’t be joining us. I told nobody about this. This children’s song I used to teach my Sunday School class came like honey. Count your blessings, counting your blessings one by one. I couldn’t remember all the lyrics, but the words “count your blessings, count your blessings” became real and comforting. I thought of all my loved ones, my husband, even though I had threatened to leave him the day before, my two beautiful and healthy girls, and my many friends.